I am super excited to be partnering with Nicole Walters to bring you this exclusive offer! You are a major part of NLL’s success, and I want to make sure this is one of your favorite places to visit. So whether you're a blogger, freelancer, service provider, MLM marketer, small business owner, college student or whatever; looking to launch, grow, and improve your income... This is for you! If you are seeking monetization strategies, then you want to sign up for $1K1Day. As a wife, mom and entrepreneur I know the financial risks that comes from relying on one source of income. One stream of income is no longer a comfort, in fact, it has become a necessity to create multiple streams of income. I’ve learned that diversifying your income is crucial to protecting you and your family against unexpected personal economic recession. For almost a year now, I’ve been using Nicole Walters' tested and proven techniques she used to generate revenue for multi-billion dollar corporations and launch her own seven-figure business. And at a time when things were at a stand still, Nicole’s 8-week course gave me the confidence to add four additional streams of income to generate cash flow. Life before $1K1Day was sometimes filled with anxiety, but I’ve since stepped into confidence. Nicole’s infectious personality and her $1K1Day techniques allowed me to streamline my business, charge more and now my clients are even happier. $1K1Day Online Academy is an exclusive by invitation only course specifically created to generate income by leveraging your unique skills, and help pave a path that leads to $1,000 days. The academy gives you the infrastructure and the income streams to build your bank account on your own terms! $1K1Day is all about giving you the tools and strategies you need to monetize your skills and passions. However, let me be the first to tell you, that it’s not a get rich quick scheme. It’s not magic. It’s not complicated but it will take doing the work. With $1K1Day, I effectively learned how to use a combination of active and passive income streams, diversified across various mediums to build a profitable business. But I also gained so much more. I also gained a community filled with a bunch of kickass supportive, #RichFriends with unique flavor, who enthusiastically inspire each other daily to grow and succeed in life and business. Grab your books and grab your pens! 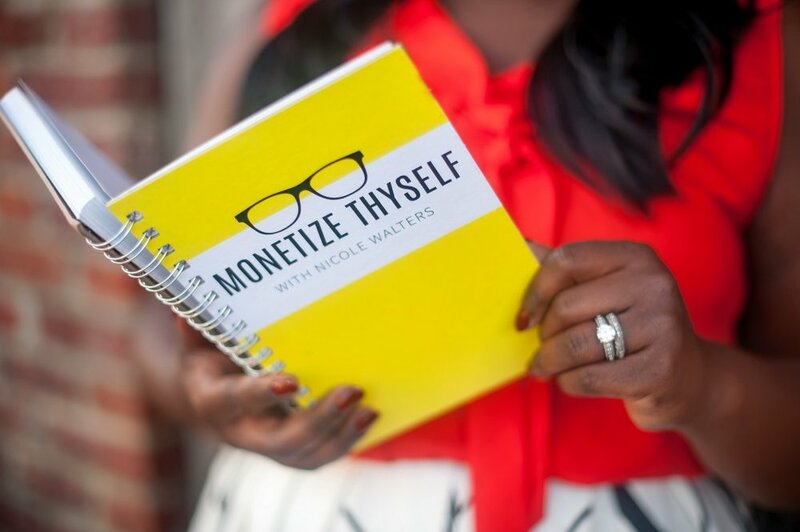 Nicole Walters makes monetizing thyself a simple, step-by-step process, which you can implement to start creating monthly income faster than you might realize is possible.